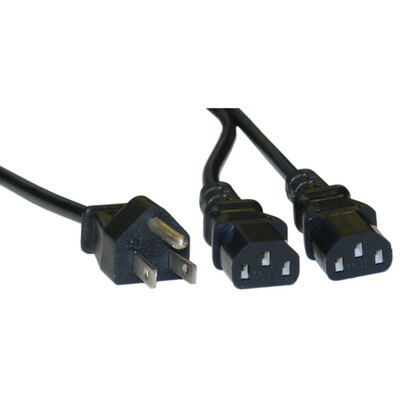 This is a 6 foot standard 3-pin power cord has the ability to power two different devices with the same cord, eliminating excess clutter and using one less power outlet. This power cord will fit most computers, monitors, printers, and various other devices. Very good quality, saves plug-in space and absolutely fills the bill for my application needs.